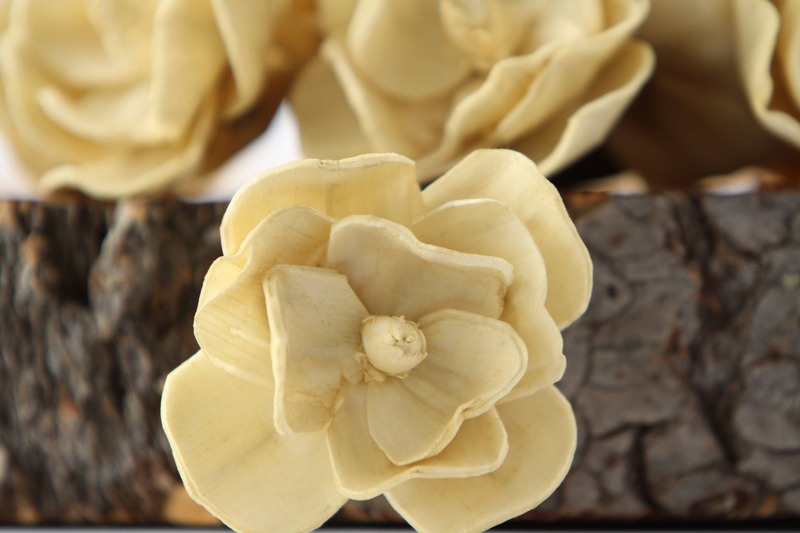 These Magnolia Sola Flowers are approximately 6cm or 2 - 2.5 inches in diameter. They are hand dyed champagne in color. 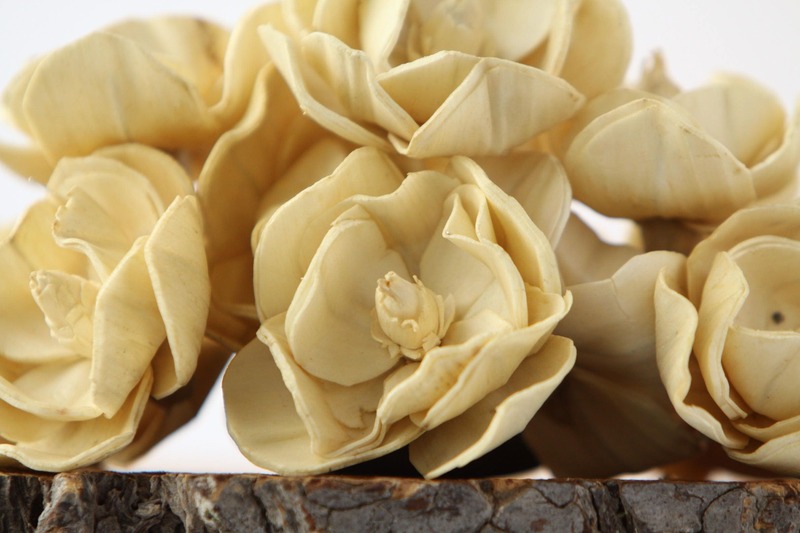 Magnolia sola flowers have small wires in and between petals so you can reshape the petals as needed. These wires are easy to trim off with a scissors if needed. 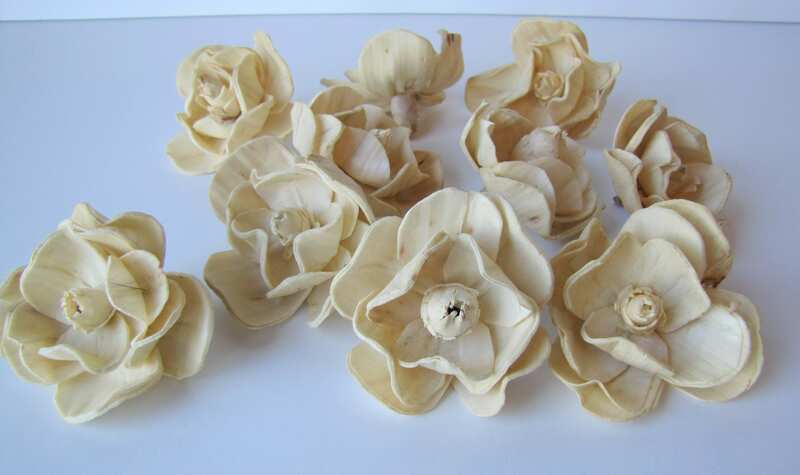 These and the lavender colored magnolias are going to be used as accent pieces in my bouquet. I am happy with the color and quality of these flowers. 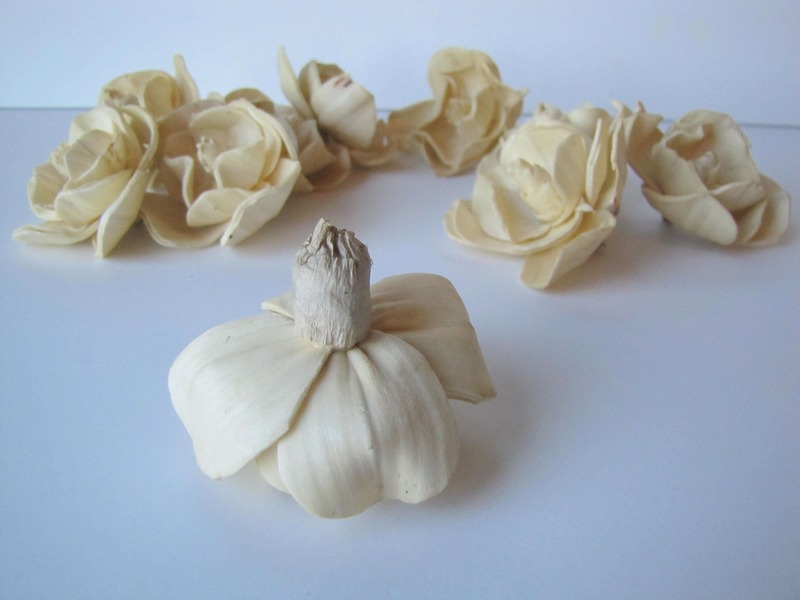 While I didn't expect them to be as small as they were (I should have double checked the size in the description), it was a happy accident since they will not be prominently featured in my bouquet...I ended up changing the design and look of my bouquet. I am pleased with this purchase. 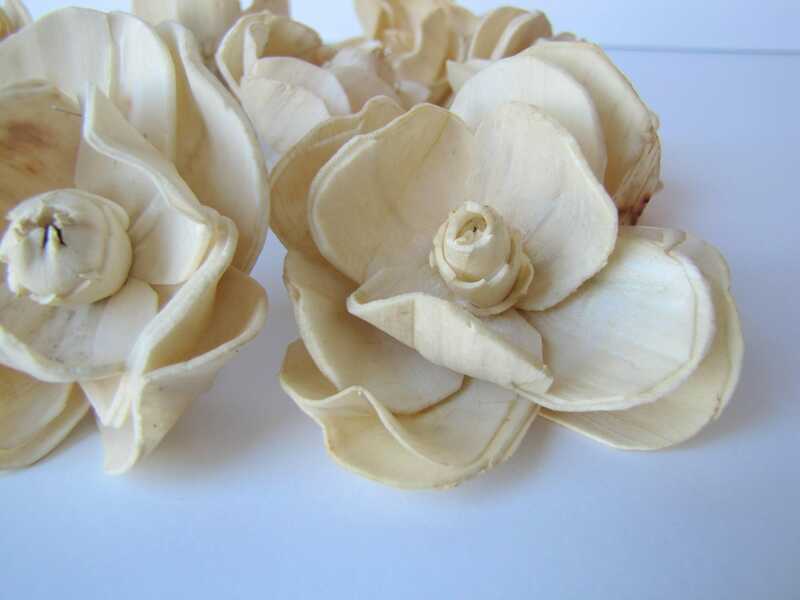 These are going to work perfect for my wedding hair piece! Fast shipping and packed well. Arrived undamaged.